Tens of thousands of interest-only mortgages are set to mature over the coming year, meaning homeowners face repaying their full loan in one go. If you have an interest-only deal and are worried about paying it back, find out what your options are. An estimated 81,400 interest-only mortgages worth a total £9.2bn will be maturing in 2019, according to predictions modelled by Experian for the Financial Services Authority (now the Financial Conduct Authority) in 2013. With an interest-only mortgage, you only pay the interest on the loan each month. The size of your debt stays the same over your entire mortgage term, and you have to pay back what you borrowed in one lump sum when the term ends. This differs to a repayment mortgage, where you pay back both interest and capital each month, so by the end of the term you’ve repaid what you borrowed. We explain what to do if you have an interest-only mortgage deal and are worried about paying back what you owe. If you have an interest-only mortgage and want free advice on your options, call Which? Mortgage Advisers on 0800 197 8461. In its 2013 review of the interest-only sector, the Financial Conduct Authority (FCA) identified three main time periods when the most interest-only loans would mature: 2012-20, 2027-28 and 2032. This analysis predicts that in 2019, 81,400 interest-only deals worth £9.2bn would be due to mature, and a further 82,100 worth £9.7bn would mature in 2020. To arrive at this prediction, Experian looked into the ‘maturity horizons’ for all residential interest-only deals, meaning the year the terms were due to expire. It then produced an algorithm that estimated when interest-only deals would expire between 2012 and 2041. 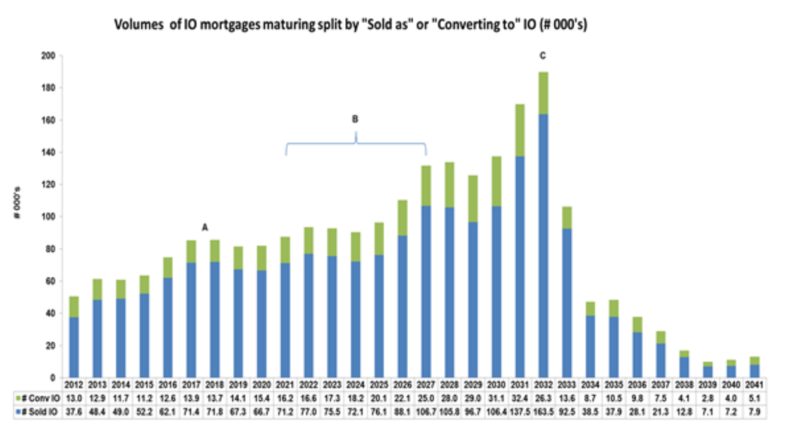 What’s the problem with interest-only mortgages? With an interest-only mortgage, you have to pay back the full amount that you borrowed in one lump sum at the end of the deal. This means that if you don’t have a plan to repay what you owe, you could be caught out. Before the credit crunch, when house prices were rising steadily, these deals were popular in the residential mortgage market. Since then, however, there have been concerns that some people may have taken out these loans with no real way to pay them back, and some didn’t fully understand how the deals worked. In 2015, lenders were tasked with contacting all interest-only borrowers with loans scheduled to mature before the end of 2020, to ensure that they were on track to repay their loans. However, the FCA found in 2018 that although mortgage lenders are writing to customers prior to their mortgage maturing, engagement rates with firms are low. In its 2018 review, the FCA warned that shortfalls in repayment plans could lead to ‘significant numbers’ of people losing their homes. Should you be worried if you have an interest-only mortgage? The first major portion of borrowers having to pay back their interest-only deals up to 2020 is likely to have modest shortfalls, according to the FCA. These customers are typically approaching retirement with higher incomes, assets and levels of forecasted equity in their property. The next two peaks in 2027-28 and 2032 are more of a concern. These two groups include less affluent people who had to take on larger interest-only loans and have lower forecasted equity levels – so could be at more risk of a shortfall. If you have an interest-only mortgage, you should check when your loan is due for repayment and how much you will owe when it does. You should make sure your original plan on how to pay it back is on track. For example, if you were relying on the value of your home increasing to cover the cost of the mortgage and buying a new home, this may not be a viable option if prices haven’t grown quickly enough. Moreover, if you were hoping to remortgage, you may find the options could be restricted because of your age and income. Some lenders, for example, will only consider switching, remortgaging or extending the term of your deal up to your retirement age. If you find your plan isn’t stacking up, it’s time to act. Lenders have the legal right to repossess your home if a loan has not been repaid by the end of the term. So, if you’re coming to the end of an interest-only mortgage in the next few years and are worried about paying it back, you should take action. Extend your mortgage term You could ask your lender whether you can extend the term of your interest-only deal. This would buy you extra time to invest money or for your property’s value to grow in order to cover the shortfall if you were to sell. Switch to a repayment mortgage Your lender might let you do this – but bear in mind that it would cause your monthly payments to shoot up in the short term. However, you may be able to reduce the payments by lengthening the term of your mortgage or opting for a part interest-only, part repayment deal. Start overpaying your mortgage Paying off more than the interest each month can help you to start paying down your debt. Most lenders will allow you to overpay by up to 10% of the outstanding mortgage each year, but check the terms of your agreement to make sure you can try this. 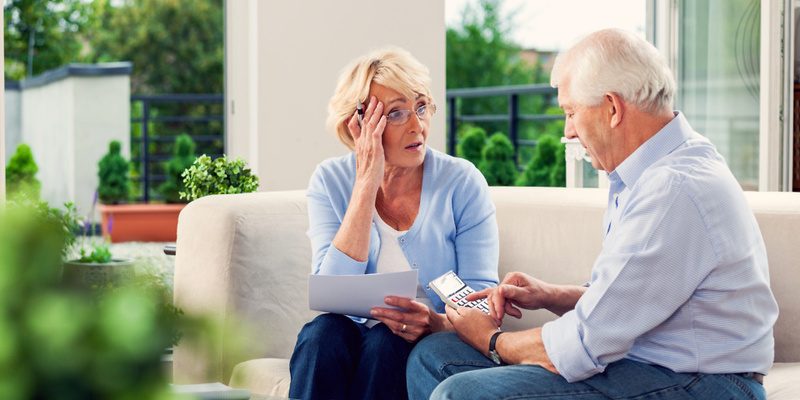 Consider a retirement interest-only deal More and more lenders are offering retirement interest-only deals to help older borrowers move away from their existing interest-only deal. Most of these deals allow you to repay the loan when you sell the property, move into care or die, but some will have a set term. Bear in mind that while this will help you keep your home during your lifetime, you won’t be able to pass it on to your children. Sell up and move You could pay back your interest-only loan by selling your property. If the value has grown and you’ve built up some equity, you could use this to buy a new home. However, this might not be a great option if you have negative equity – where the value of your property has fallen since you took out the loan – as you’ll face a shortfall when paying your lender back. Was your mortgage mis-sold? If you believe you were mis-sold an interest-only mortgage, you can use our template letter to make a complaint. This might be the case if, for example, the mortgage broker did not explain that you would only pay interest on your loan each month, or ask how you would repay the mortgage at the end of the term. If you are coming to the end of your term and want advice on how to pay your interest-only loan off, you can talk to Which? Mortgage Advisers for free. They can give impartial, expert advice and recommend the best option based on your personal circumstances. Call them on 0800 197 8461 or fill in the form below for a free callback.